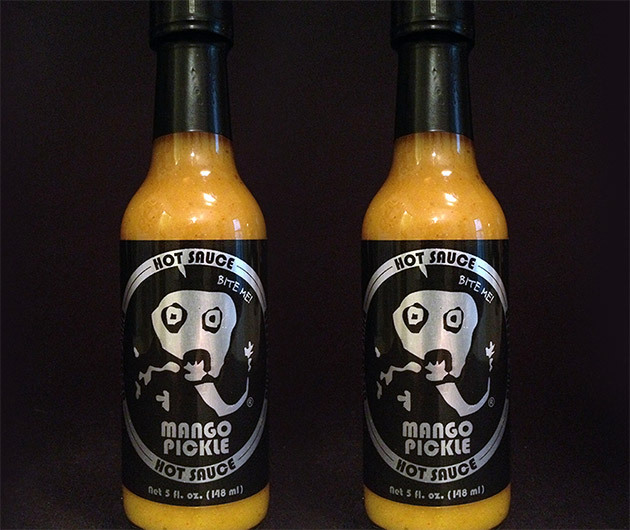 Don't let the added the fruit flavor in the Mango Pickle Hot Sauce fool you, it still has a 6 of 10 heat index rating and will happily give your taste buds a good slapping. Made with yellow fatalli and cayenne peppers, this condiment also contains mango and sweet pickle reslish for an added citrus finish. A little drop is all you'll need to accent many of your favorite bites.